This blog post is part of a paid Megan Media and AT&T blogging program. The opinions and ideas expressed here are my own. This tax season, AT&T is offering some major deals on their GoPhone. What better way to use your tax refund than to help stay connected with friends and family? I got my first cell phone back in 1999, when I was a senior in high school. I was a new driver, and in anticipation of my upcoming 45 minute commute to college, my parents wanted me to be able to contact them in case of an emergency. I wasn't allowed to use my cell phone to call and chat with friends. My parents made it very clear that it was an emergency-only type of thing (although my parents called me often, just to check in on me). My cell phone was bulky and awkward, had a tiny black and white screen, and couldn't text message or go on the internet. Still, it could make phone calls and it came with the game Snake, which I thought was just about the coolest thing ever. Most of my friends didn't own cell phones yet, but within just a few short years everyone I knew had one. In today's society, almost everyone, from adults to children, has a cell phone. More specifically, most people have smartphones. A smartphone has features like text messaging, access to the internet, e-mail, and a world of third-party apps that extend the phone’s capabilities. Given the convenience of smartphones, it is no wonder that everyone owns one. Checking your e-mail is as simple as a swipe on your phone. You can check in with your babysitter with a quick phone call on the go. Out of paper towels? Just pull out your smartphone and order more. Parents buy smartphones for their children so they can always contact them in case of an emergency. Parents like being able to check in on their children wherever they are, just as my parents did back in 1999. 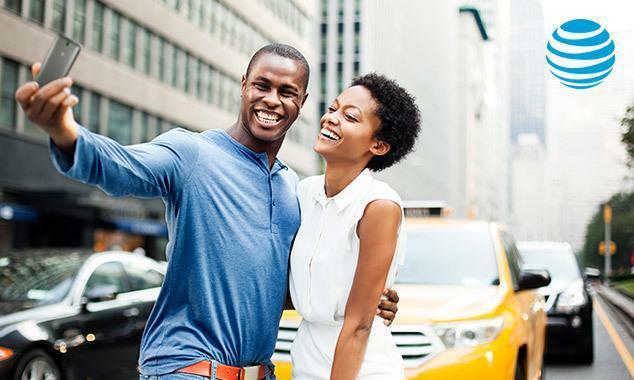 If you’d like to be better connected to the ones you love, treat yourself and your family to new AT&T GoPhone smartphones this tax season. With great prices, more choices than ever, no annual contract. and no credit check, AT&T GoPhone gives you flexibility, reliability, and great service all on the nation's best data network. This tax season get a free ZTE Maven 2 when you switch to a minimum $30/ month plan on AT&T GoPhone. The ZTE Maven 2 features a vibrant 5″ display, fast downloading and streaming, front and rear-facing cameras, and Dolby Audio premium sound. If you prefer a different smartphone, you can opt for $20 off any new GoPhone device instead. With plans starting at $25 per month when you sign up for AutoPay, AT&T GoPhone really has an affordable option for everyone. For more information visit an AT&T store near you or att.com/gophone. What better way to use your tax refund this season to get a great deal on AT&T GoPhone smartphones for you and your family? Ends 4/20/17, while supplies last. $30 plan includes Wi-Fi data only. Phone restricted to GoPhone service during first six months after activation and cannot be used with any other carrier’s service. Avail. online and at participating AT&T stores. Elig. 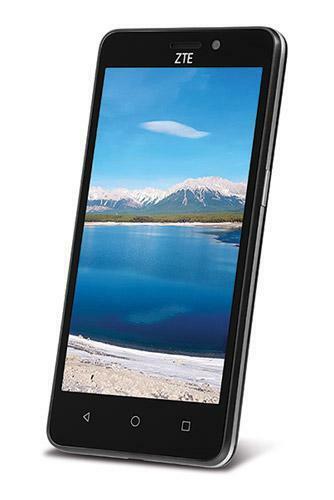 GoPhones: ZTE Maven 2 only for free offer. $20 off any other GoPhone smartphone: Samsung Galaxy Express 3, Samsung Galaxy Express Prime, LG Phoenix 2, or Apple iPhone 5s Bundle ($45 of service included). Taxes, fees, coverage & other restr’s apply. Svc provided by AT&T Mobility. See offer details. © 2017 AT&T Intellectual Property. That’s a good deal! I’ve been debating on whether to get a go-phone for my son or not. This sounds like it would be perfect for my son. Thanks I hadn’t heard of it before! Oh this sounds like an awesome plan! So affordable! I really want to check out this new GoPhone. The phone I have now is really expensive and I’m not really happy with the camera feature. Thanks for sharing this amazing deal. Thanks for sharing information on the GoPhone. It is a coincidence because we are currently re-evaluating our cell phone situation. Great info! Sounds like a great plan. Especially for those on a budget or children’s phones you can’t be mad at that deal! That is such a great idea to use your taxe refund for something resourceful. I need to do my taxes period. It is March already. SMH! That’s a really great deal! $25 a month! Totally worth it. I am in the market fro a new phone. I was just looking tonight online. I heard that AT&T was having great deals for the tax season. They do have the best service. Plans starting at $25?? That’s an awesome deal. This phone seems like it has tons of great features as well. Gosh! I can’t believe it’s tax season already! Thanks for that tip! This sounds like a great plan and seems smart to use your tax refund for something that’s necessary. What a great idea, AT&T seems to be coming up with lots of ideas to keep their customers happy! I like this! I will keep this in mind for the next year as I already have done my own taxes and I was very disappointed in the fees for this year. I am trying to hold out a few more years before I start thinking of giving my kid a cell phone. My oldest is 9 but I have a feeling for safety reasons I will be getting him one sooner than I think. They really do help to stay connected. I got my first cellphone to stay in touch with my parents and in case of emergencies.